The amount of data transferred every day on the internet is increasing and also the type of data being transferred on the internet is changing as the day goes by and no one want to use cyberoam which policies Scammers, interns, malwares and attackers who tries to break in with just at a little relaxation from be security alert. Wireless encryption implies converting or changing information into forms that is not easily recognized or read by anyone who has no permission to access the information, allowing only authorized personnel with the necessary decryption information to decode and access the information. This operation or process can be done in two methods. Example one in which the encrypted information can be decoded back to a readable or clear text, and another who can only remain encrypted. It is clear the rate at which the world is involving in wireless computing every day has massively added to the risk of wireless security attacks on devices and many people who has the technical knows how and software’s to do it is gaining access to secured data and resources as the clock ticks. For this reason wireless Encryption has come to be a huge protective measure to your data during the from the time it is being sent to the time it get to the decoder so that even if the data was access during transmission is will seems absolutely useless in the hand of such personnel. There are few ways to encrypt information or messages over the wireless communication or transmission. WEP: This encryption type is known as the wired equivalent privacy (WEP), at first everyone thinks that with this protocol we are all saved from attackers, but we are not a hundred percent saved even though it provides wireless encryption in bits like 256-bit and 128-bit for wireless communications that uses 802.11 protocols it also has it setbacks, these setbacks is as a result of the way WEP generates the key that are used to encrypt information is so cheap allowing attacker to analyzes this methods and uses network capture to crack and break into WEP in no time. WPA: The wi-fi protected Access point was an upgrade to enhance and cover all loops created by WEP. 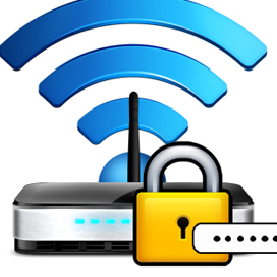 The WPA uses strong authentication and an encryption mechanism, an enhance of this protocol was the WPA2 which not only provide encryption mechanism but uses the Temporary key integrity protocol which a well security protocol establish by IEEE 802.11 to provide a 128bit encryption key which fixes the setbacks of WEP. SSID: When installing a wireless router is a proper and a good practice to change the default service set identifier (SSID), this 32-bit alphanumeric numbers are used to signal the presence WAP and all devices that it has authenticated , the SSID s typically used as in form of password for wireless networks but since the Acess point AP broadcast the SSID in clear text it therefore has no sort of security but in some cases the SSID is hidden by the network admins. MAC filtering: For me this security type seems to be the best hence you will manually decide which wireless device is to join your network by creating a media access control filter table. Other basic and further security includes: Securing your access point from administration interface by either using password or any other form of authentication. Be certain that you have changed default passwords and user name to avoid unauthorized access to the router admistrative page. Disable remote administration because it will allow a client to keep adding other clients without asking your permission. You should secure or for proper security reason disable the reset switch to avoid getting looked out by some persons. Frequently upgrade router firmware to ensure a good and safe path and also some virus fixed. Setting Up a Wireless Distribution System. Great Article! This post can help me a lot thanks for sharing!